Hanoi’s New Brewpub – Turtle Lake Brewing Co. The new brewpub in Hanoi; Turtle Lake Brewing Company is stating the fact that the thirst for craft beer in Hanoi is as unstoppable as noodles in the night. 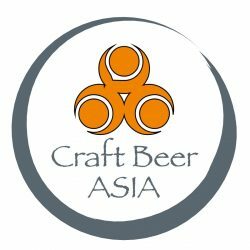 There was a big wave in 2016 with several new craft breweries in Vietnam and in 2017 the focus became to develop the beer scene. One of the big beer news Hanoi 2017 was the opening of this 20-tap brewpub in downtown Hanoi. With a wide and changing number of own beers together with crafts from all over Vietnam, this lakeside brewpub is the perfect spot for beer in the sunset. In February, the guest beers came from 7 Bridges (Danang) , Pasteur Street Brewing and East West Brewing Company from HCMC. Turtle Lake Brewing is founded by four people; Lamont Wynn, Mick Francis, Roshan De Vass and Keith Thibert, the later who is also running the Moose and the Roo in Hanoi. The Head Brewer Khalid Kyler is running the small scale brewery, which is visible from the table. They hope that they and other breweries together will make Hanois beer scene as good as the one in Ho Chi Minh City. Turtle Lake Brewing does also value corporate social responsibility and will later on tell us more about their community work. Right now the following own beers were on tap: 1. Helmet Boy Saison 5.7% ABV 11 IBU citrus and spice with orange peel, coriander and ginger. 2. Tet Imperial Red with komquat- 8% ABV 23 IBU. 3. Ho Tay VPA ( Vietnamese Pale Ale) 5.6% ABV 22 IBU pine forward and full bodied with Amarillo, Citra and Saarz hops. 4. Hoppy Lager 4.2% ABV 14 IBU Malty and light. 5. Turtle Lake Red Ale 6.1 % ABV 10 IBU Malty with hints of dark fruits. 6. Cold Blooded Triple Rye IPA 9% ABV 51 IBU. 7. 2 & 0 Stout 5.5% ABV 21IBU. Next PostNext Manila: A World Class City Full of Culinary Delights, Friendly People and CRAFT BEER!